Since its establishment in 2008, our agency SPENG Co.,Ltd has offered translation and proofreading services to students, businesses and non-profit institutions. Our translators are professionals in the field with at least 4 years of experience. Highly trained SPENG translators possess top competencies in language skills and also have years of professional translation experience in their areas of expertise, which span a range of subject domains. 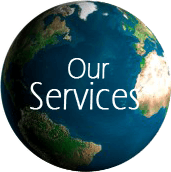 Our agency translators possess expertise in a range of fields, and we bring their work to our clients at reasonable rates and in an especially timely manner. This alleviates stress on the part of clients, who can be certain they will receive a high-quality translation quickly and at a good price. Our aim is to produce a translated text that aligns with the sometimes subtle linguistic and cultural milieu of the client or the client’s audience. To put our mission in even more basic terms, it is to satisfy our clients by fulfilling their needs and providing translations that are accurate and professional. Toward this ends, our expert team of employees are client-focused. Our agency’s philosophy is that relationships created with clients and sustained over time are of utmost importance. As SPENG, we value every client highly and equally, however large or small his or her project. Whether someone comes to us for a one-page translation or a translation encompassing volumes of text, we value their time and business equally and strive to foster an ongoing connection based on trust and loyalty. Do contact us and avail of our superior quality of document translation services at the best cost! 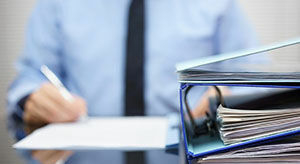 At your disposal for all kinds of document translation services between English and Spanish language pairs.